Remember as kid when you ran wild with a pack of friends on a summer day, without a care in the world? You did what you wanted. You played. You challenged each other. You took risks. All with minimal parental supervision. Many kids these days have limited access to free play. We’re looking to change that. 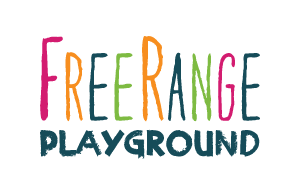 At FreeRange Playground, we want to develop the next generation of independent and capable risk takers through the power of play by bringing unstructured, free-form playspaces to urban communities in Colorado. Children of all ages will be able to use recycled and repurposed everyday materials to imagine, build, and destroy as they see fit. No one will tell them what to do or how to do it. No one will tell them who to play with or how to work in a team. We trust our kids. Let’s empower them, and give them a safe space to figure things out on their own.